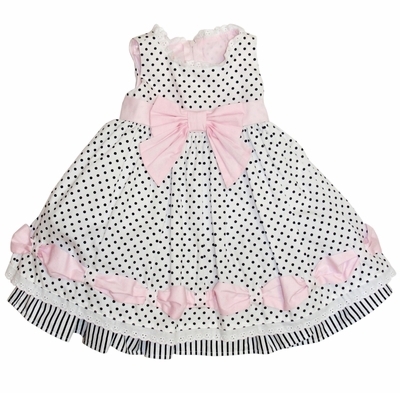 Biscotti Dresses *Little Darling* The dress is enhanced with eyelet trim, pink ribbon, and lovely bow! Perfect for Easter or any Spring party! Scroll down to add matching hat!